The results orientated approach to recruitment by CTC, is based on the fundamental belief that while finding qualified candidates for a vacant position is often not difficult, finding the best available applicant requires exceptional skills, extensive contacts, persistence and tenacity. CTC goes to great lengths to assess, vet and select candidates who have both the formal qualifications, experience and expertise required, as well as the potential to fit the company culture plus hold the values and beliefs that will make them a valued and productive member of our client’s organisation. To this end we undertake a thorough and comprehensive assessment of all candidates including, when appropriate, psychometric profiling and aptitude testing. These processes are complimented by in-depth interviews conducted by highly skilled consultants who have a detailed understanding of both the client’s requirements and the industry in which the vacancy occurs. Extensive checks of references and previous employment records are always undertaken. We have a meticulously documented system that ensures all assignments are handled with integrity, complete confidentiality and absolute discretion, with a highly focused aim. CTC has a proven capacity to consistently provide successful solutions to both permanent and temporary recruitment needs across a diverse range of services and industries. We engage consultants who, in addition to their exceptional recruitment skills, have broad professional or trade experience in one or more industry sectors. This enables them to provide specialised and very current advice concerning recruitment issues, needs, legislation and trends within specific industries, professions or trade disciplines. In this, they are supported by the in house management team and supplied computerised database systems which contain details of experienced Executives, Engineers, Trades and Clerical staff, both within India and overseas. 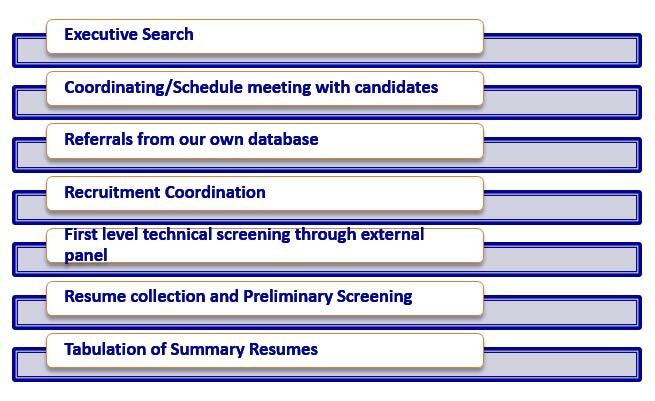 These resources are available 24 hours a day and ensure that we can create the optimal match between the best personnel and our clients’ requirements in the shortest possible time. Our aim, at all times, has been to combine the progressive, youthful and innovative approach of a small company with the strength, stability and resources of a large corporation. That we have been able to achieve this is, we believe, self evident and this success has renewed our commitment to ensure that we remain insistent on excellence and focused on results.